Common complaints among women after having a C-section is the length of time the wound heals and hypertrophic scar formation. It’s possible that pregnancy affects the normalcy of wound healing and encourages hypertrophic scar formation, meaning that there is an excess of scar tissue formed and the scar becomes raised. Many expensive and some ineffective therapies exist for scar removal. Prevention is likely the best strategy. St. John’s wort (Hypericum perforatum), which has long been used for wound healing in folk medicine, is showing promising results that may prevent scars from becoming raised, itchy (pruritic), discolored, and uncomfortable. A study of 144 women, an average age of 23.5, who had undergone surgical child birth by comparably-trained obstetricians were divided into a treatment group receiving an ointment of St. John’s wort 24 hours post-operation, a placebo group who received a placebo ointment 24 hours post-operation, and a control group who received no treatment. The study found a significant difference in the St. John’s wort group’s wound healing and scar formation from the placebo and control group, while there was little difference in wound healing or scar formation in the placebo or control group. On the 10th day post-operation, the wound healing was assessed among the three groups according to the REEDA scale: which stands for redness, edema, ecchymosis, discharge and approximation. The scar formation was judged on the 40th day according to the Vancouver scare scale: pigmentation, height, pliability, and vascularity. Also on the 40th day, using the Visual Analogue Scale, participants were asked about pain, and they were also asked about pruitis, or excessive itching. Compared to the placebo and control group, using St. John’s wort ointment 24 hours post-operation, significantly led to faster wound healing, less pain and itchiness, and lowered instances of pigmentation, raised height, and lack of pliability. Samadi, S. Khadivzadeh, T., Emami, A., Moosavi, M.S., Tafaghodi, M., & Behnam, H.R. (2010). 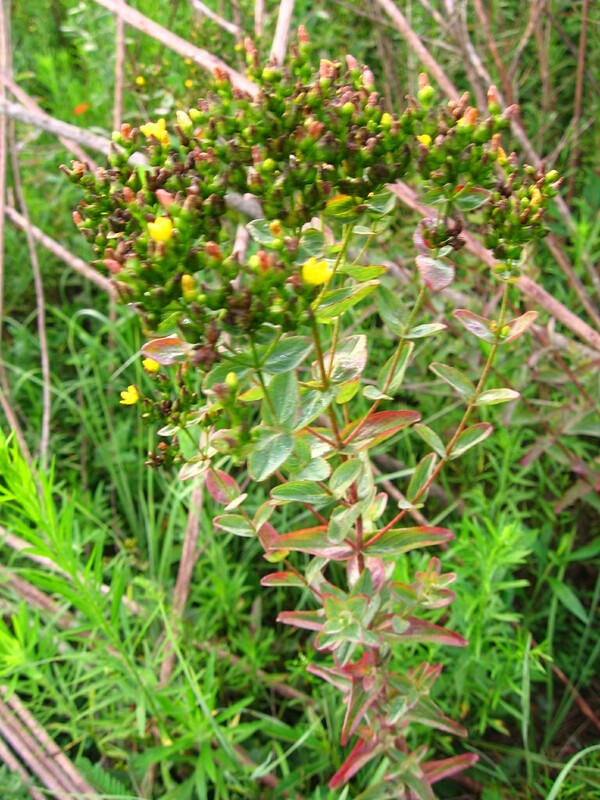 The effect of Hypericum perforatum on the wound healing and scar of Cesarean. The Journal of Alternative and Complementary Medicine, 16(1), 113-117.